Islamabad (August 10, 2018): A delegation of Balochistan Awami Party will hold a meeting with PTI Chairman Imran Khan at Bani Gala in Islamabad on Friday, to discuss government formation in the centre. Balochistan Awami Party (BAP) has four seats in the National Assembly and it is supporting PTI to form government in the centre. Pakistan Tehreek-e-Insaaf is also an ally of Balochistan Awami Party in government formation in Balochistan province. On Thursday night, coalition parties announced Jam Kamal Khan as their pick for the slot of Balochistan chief minister as well as formally nominating Abdul Qudus Bizenjo as the provincial assembly speaker. 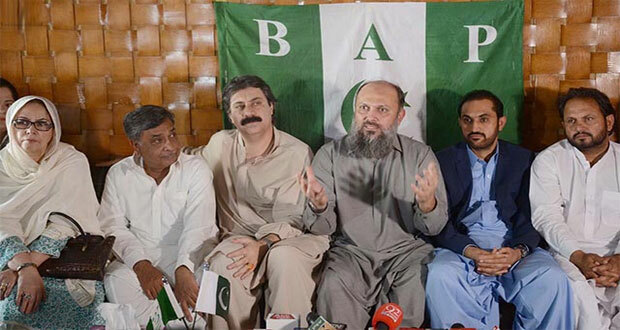 Earlier, there were reports of differences within the ranks of Balochistan Awami Party (BAP) over the nomination of Jam Kamal for the chief minister’s slot. On August 04, Balochistan Awami Party announced Jam Kamal Khan as Chief Minister of Balochistan and Abdul Quddus Bizinjo as Speaker of Balochistan Provincial Assembly in BAP meeting. Talking to media in Provincial Capital Quetta after finalizing the names, Jam Kamal Khan and Manzoor Kakar said that all the decisions have been made in a democratic way in consensus meeting. “We have taken decision for the people of Balochistan. Every decision was taken in a democratic manner,” said Manzoor Kakar, BAP general secretary, at a press conference in Quetta. Kakar said that Jan Mohammad Jamali withdrew his name for the post of Balochistan Assembly speaker. “We will consult with other parties for deputy speaker,” he said. Speaking to media, Jam Kamal Khan said his party has secured a majority in the province, but it wants to take along other parties as well. 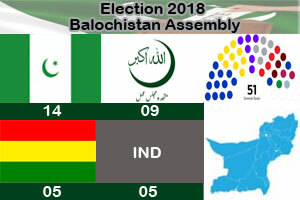 BAP managed to secure four of the 272 seats in the National Assembly, according to the Election Commission of Pakistan, and emerged as the largest party in Balochistan with 15 provincial assembly seats.